If you browse around app stores nowadays you can notice how apps are priced differently depending on the functions on offer and the developer behind them. With many of us only ever going for free or 99p apps sommetimes it’s an eye-opener to peek at the apps priced at $10, $15, $50 or even $100. With that in mind, could you ever imagine a case where you would pay $999 for an app? 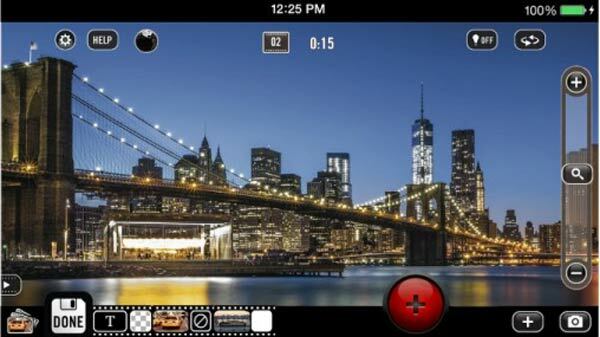 An app with that price tag has just been approved by Apple and appeared in its iOS app store.. 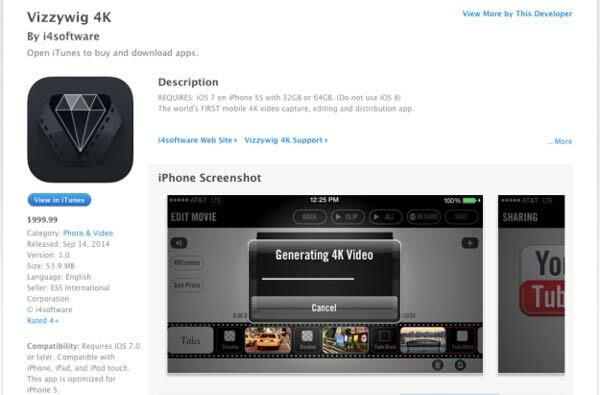 The recently approved app is called Vizzywig 4K, and to own it, you will have to dig $999.99 out of your deep pockets. Yes, we’ve not misplaced the decimal point, the app costs $999, and if that isn’t jaw dropping enough, the app is also designed specifically for the iPhone 5s, and only if it is running on iOS 7, no older no newer. Vizzywig 4K “captures full 4K resolution photos at the rate of 24 photos per second along with synched audio”, rather than recording video, meaning that users will be able to edit each frame individually. This is also the reason why the app will not work on iOS 8, since the new OS’s Burst Mode only takes pictures at a rate of 10 images per second. Fair enough, you may be able to shoot some pretty awesome 4K clips with it, which is not offered by default on any of Apple’s iOS products, but we somehow fail to see how some nice videos can justify that price tag. But perhaps those who are really determined to own 4K video capabilities on their iPhone will be the ones reaching for their credit card. If you have bought and use this app for any particular compelling purpose please drop us a line and let us know. Another Apple related piece of information for those looking to purchase the iPhone 6 and iPhone 6 Plus has emerged. According to an internal document, Apple has confirmed that it will be pre-loading its iLife and iWork apps onto the higher capacity models of its upcoming smartphones. It is likely that the company has made the decision to promote adoption and to prevent its users from downloading alternatives from Google or Microsoft. “iMovie, Garageband, Keynote, Pages, Numbers and iTunes U are includes on the 64GB and 128GB models,” according to the document discovered by 9to5Mac. “These apps are also available as a free download from the App Store for the 16GB models,” the internal note says.